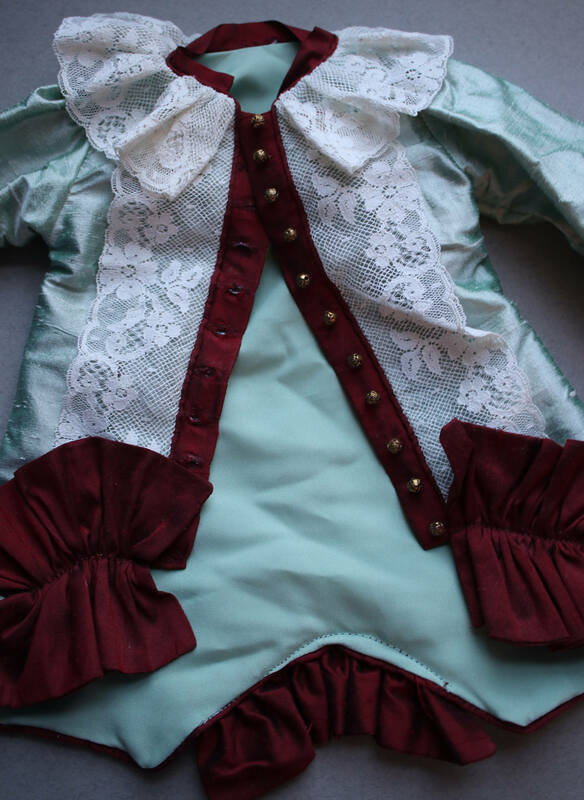 This skirt and jacket for a bisque doll is made of dupioni silk and lace. The buttons are actual metal buttons with buttonholes and not snaps. 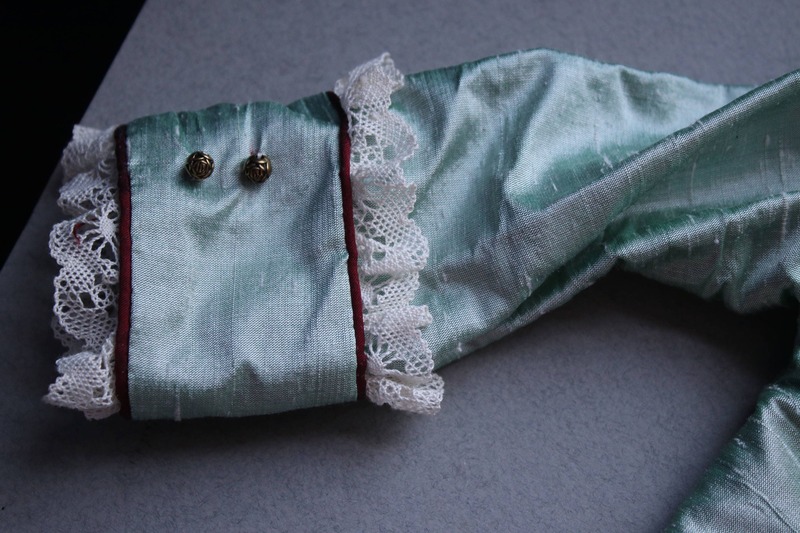 I don't believe this is an antique ensemble but a reproduction. 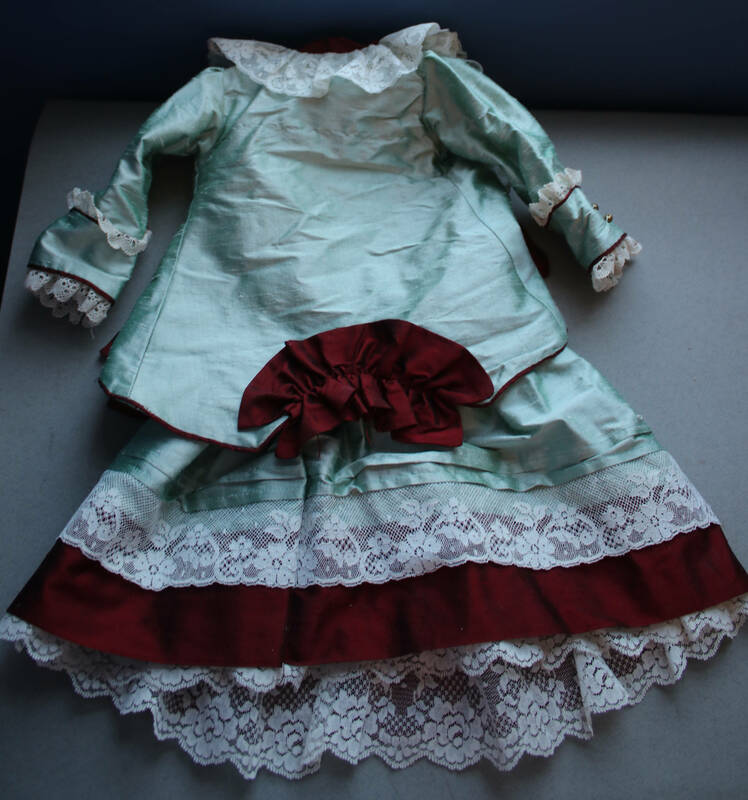 The lace and silk dupioni may very well be antique, but I cannot be certain. 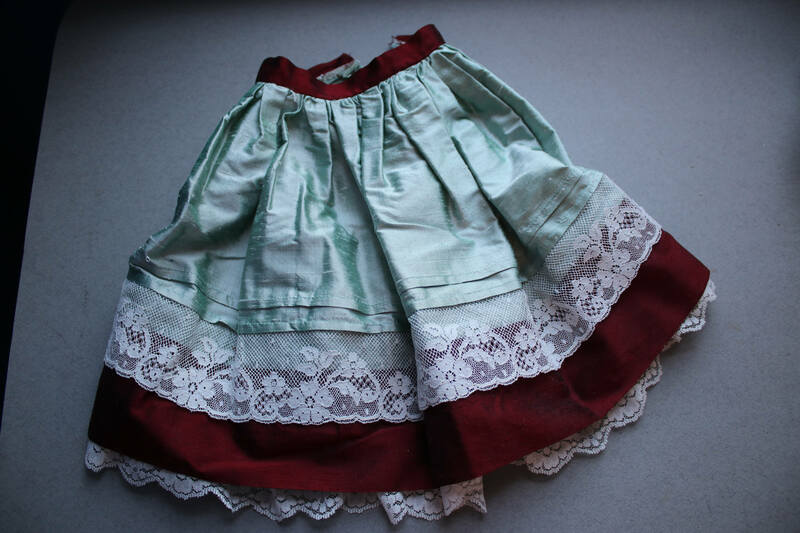 Measurements: When buttoned and laid flat, the skirt waist measures 5 1/2" across so the circumference of the waist is 11". 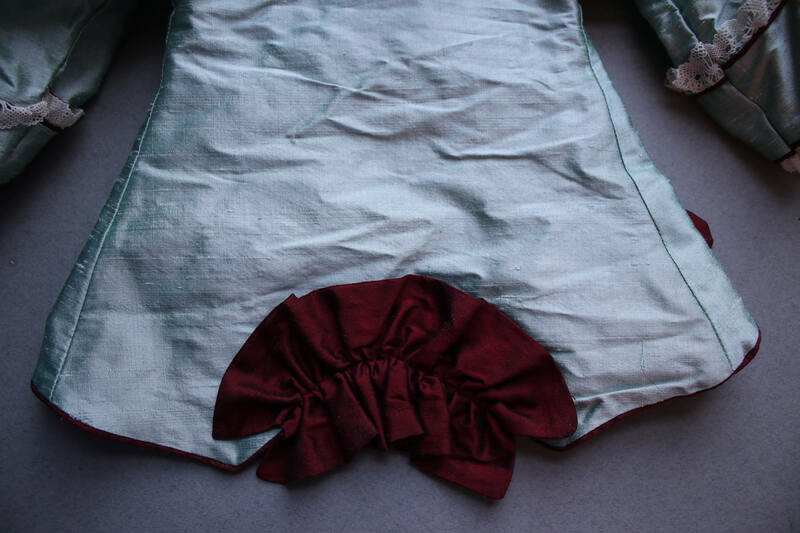 From the edge of the skirt's lace hem to the waist, the length is 11 1/4". 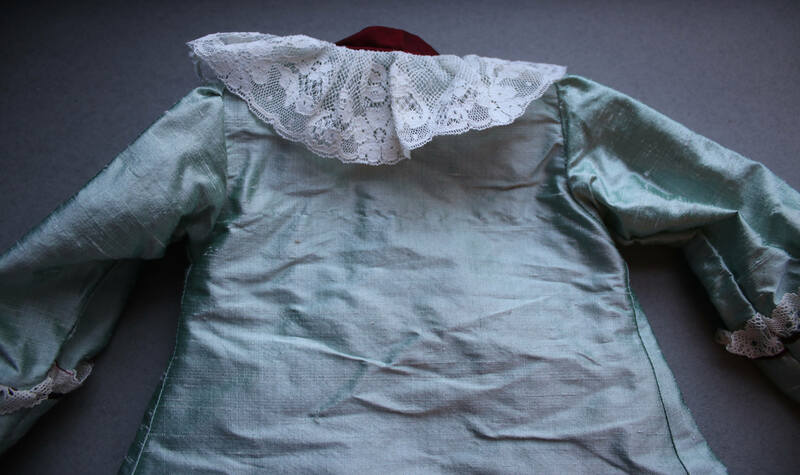 From the front edge of the jacket's ruffle at the bottom to the neckline, the measurement is approximately 9 1/4". 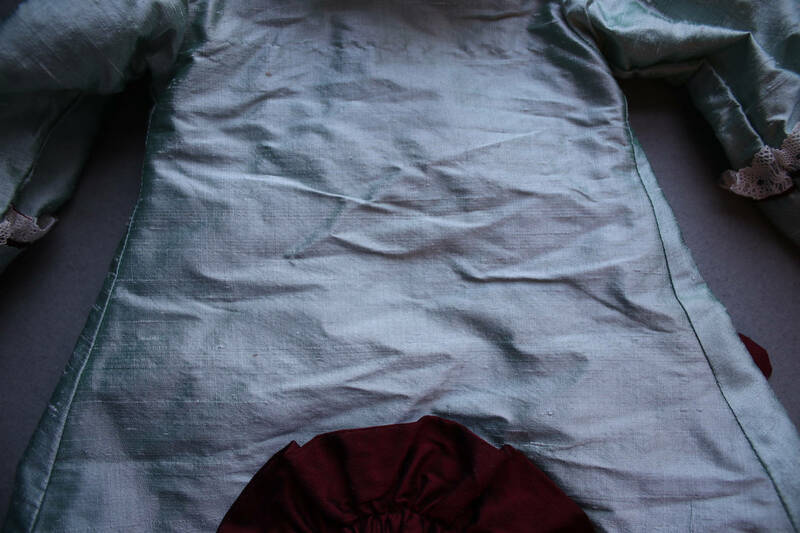 From the back edge of the coat's ruffle at the bottom to the neckline, the measurement is approximately 12 1/8". 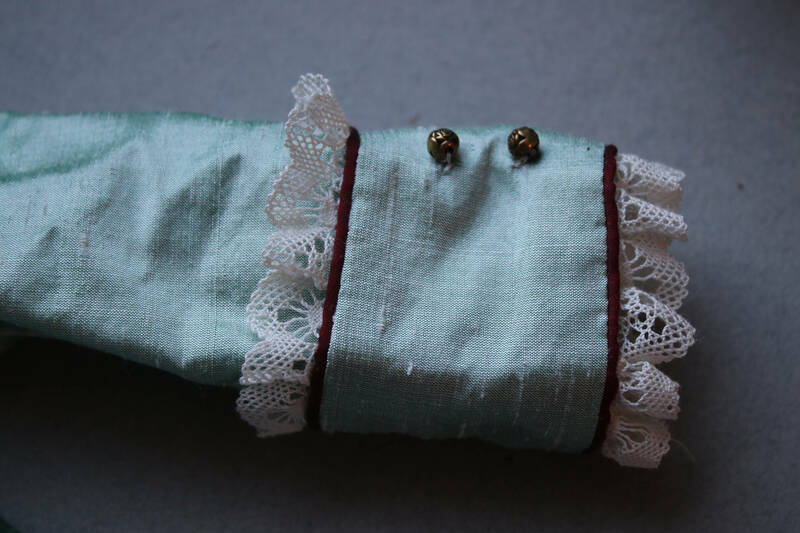 The length of sleeves from the armpit to the ruffle at the wrist is 7". The width of the jacket across the middle back portion, about an inch below the armpits, is 7 1/2". The jacket is lined but the skirt is not. There are two buttons on each sleeve of the jacket, which has 11 buttons down the front for closure. 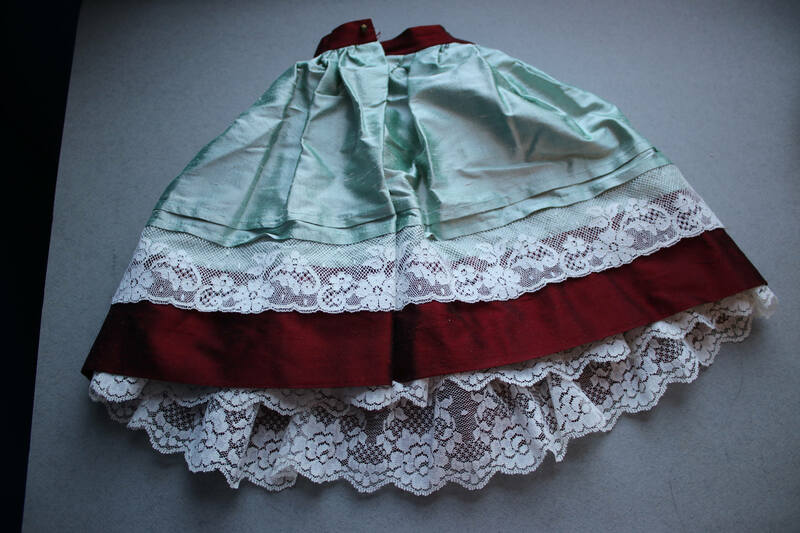 The skirt has one button in the back of the waist for fastening. 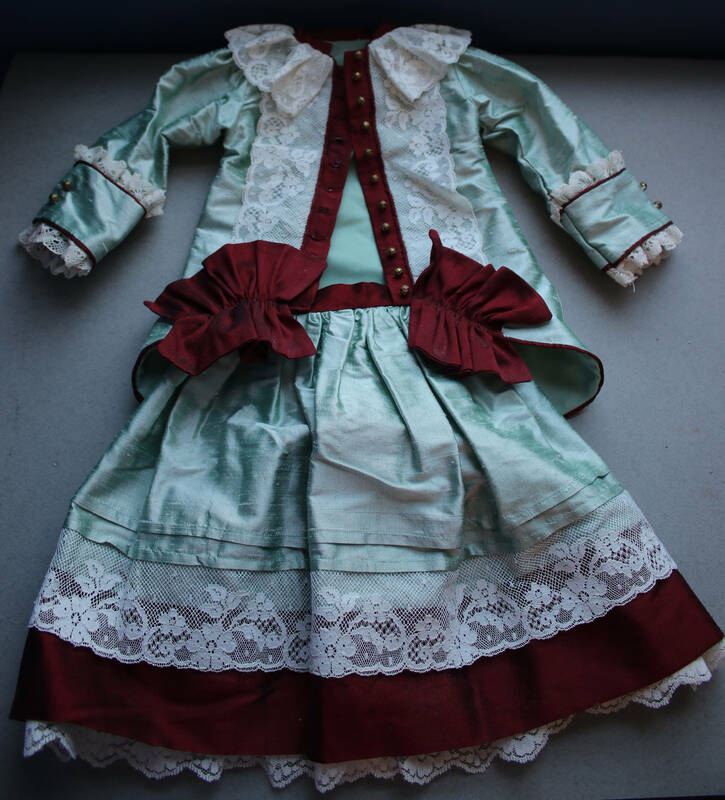 Your doll clothing will be sent via Priority Mail and fully insured.